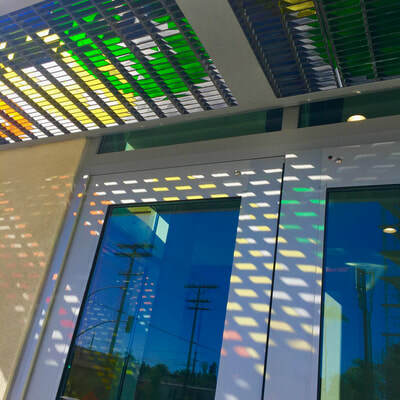 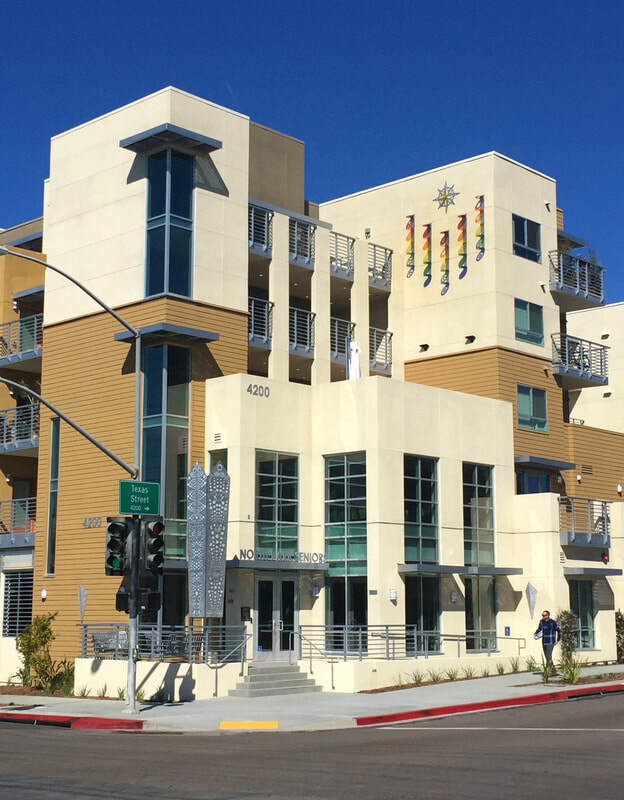 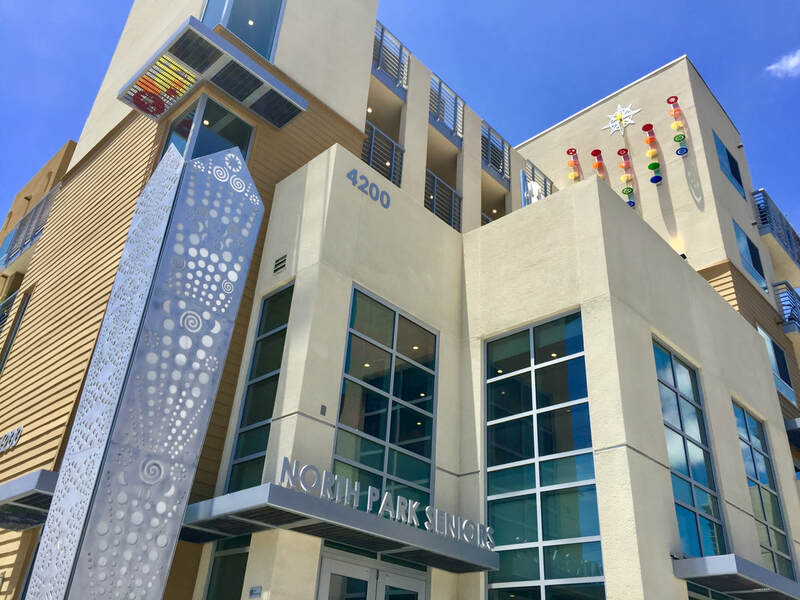 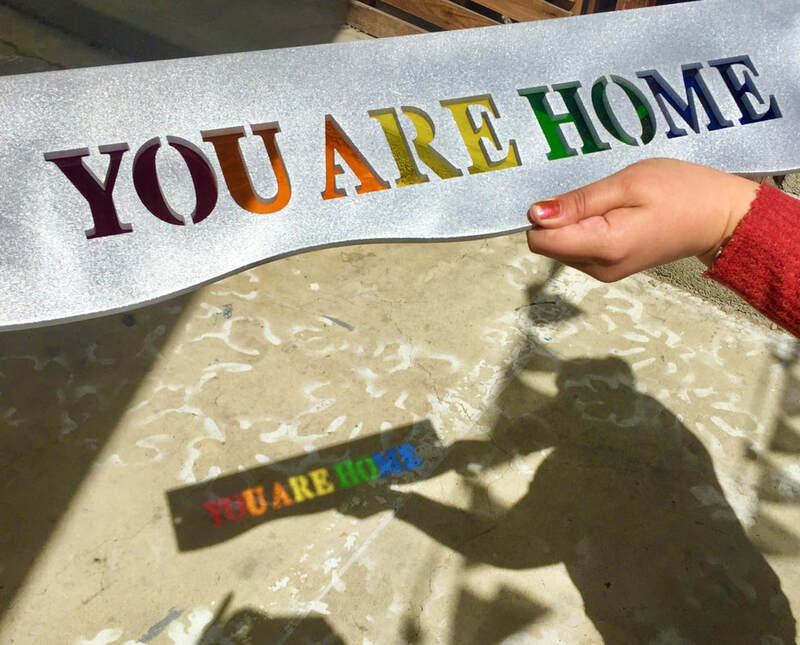 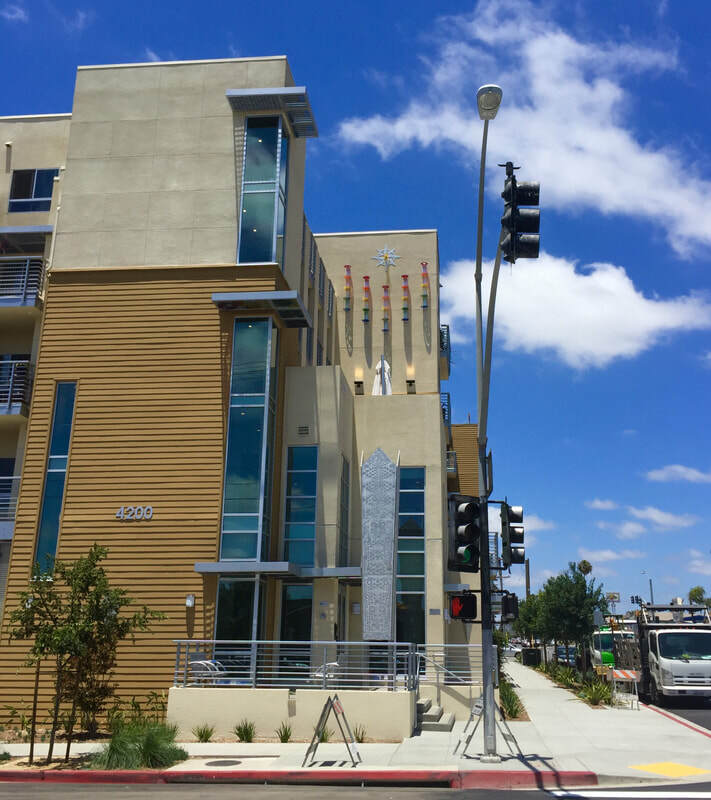 Project Architect: Rodriguez Associates Architects & Planners, Inc.
​Public art at an affordable housing project for LGBTQ seniors is a celebration of community spirit, pride and culture. 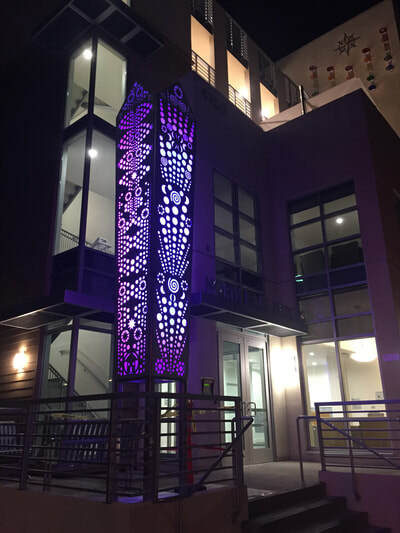 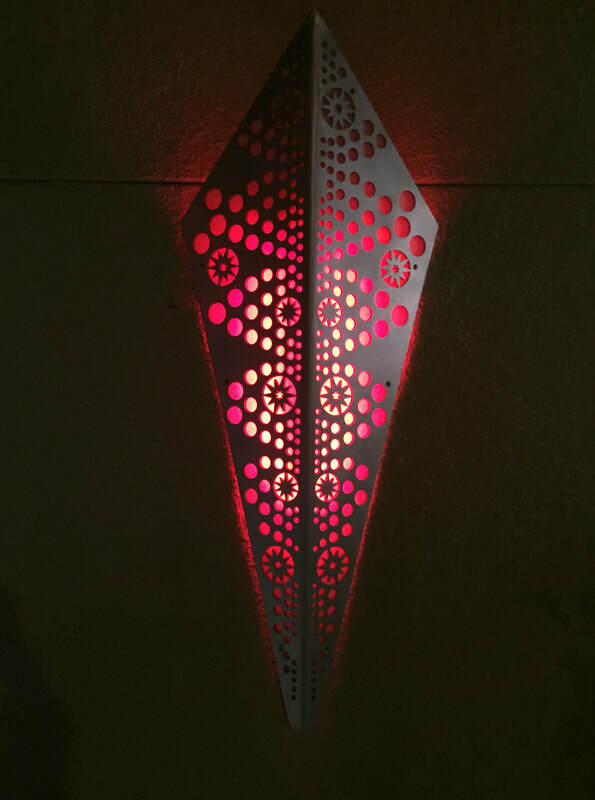 Multiple art elements utilize light and shadow throughout the project including a 16’ft tall obelisk/light tower and exterior sconces of cut aluminum and colored LED lights act as a beacon home. 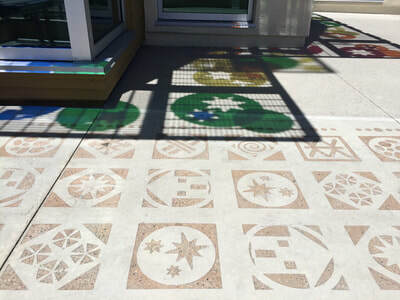 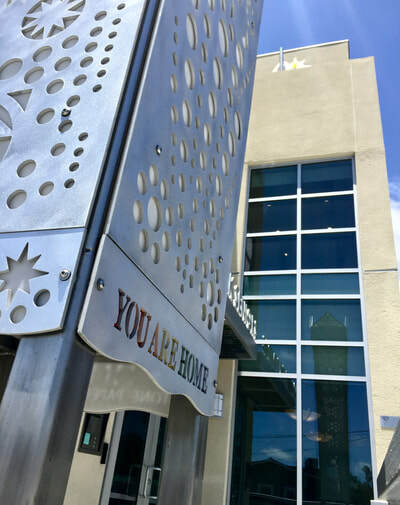 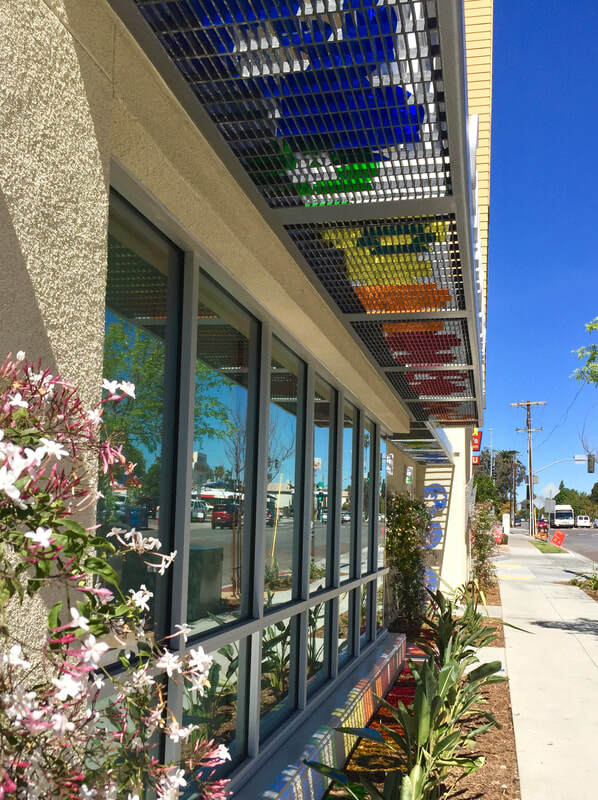 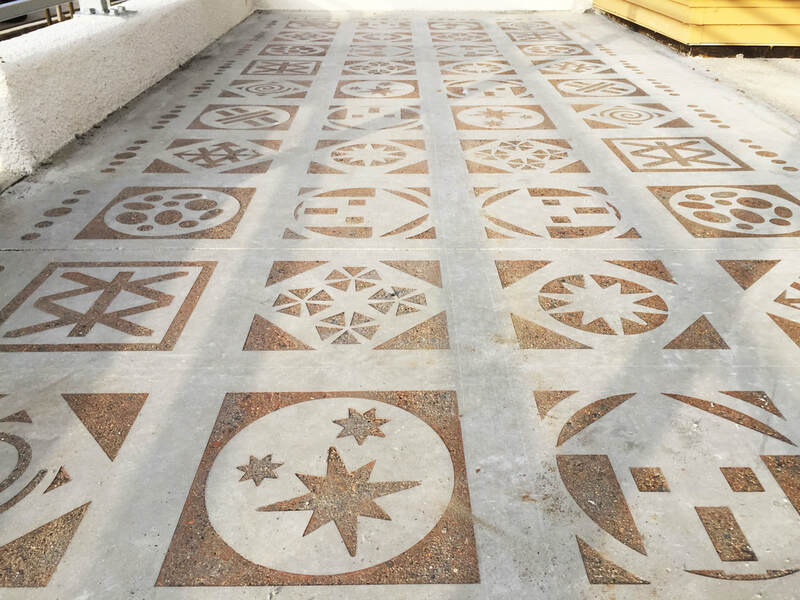 Symbols and designs etched into concrete, shaped and colored acrylic hang in the courtyard and awnings, and a large array of multi-colored shapes that form a sundial on a south facing wall create community identity. The wall, visible from a distance, shows a compass that points due north representing the direction toward home and the North Star- a constant in the night sky just beyond the project wall. 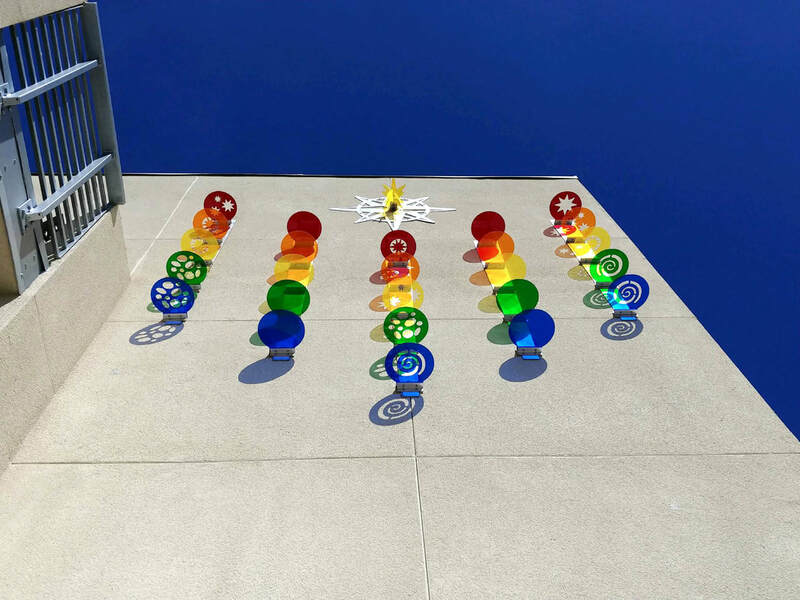 The piece also acts as a sundial, creating colored shadows that move throughout the day, casting shapes and symbols onto the wall. 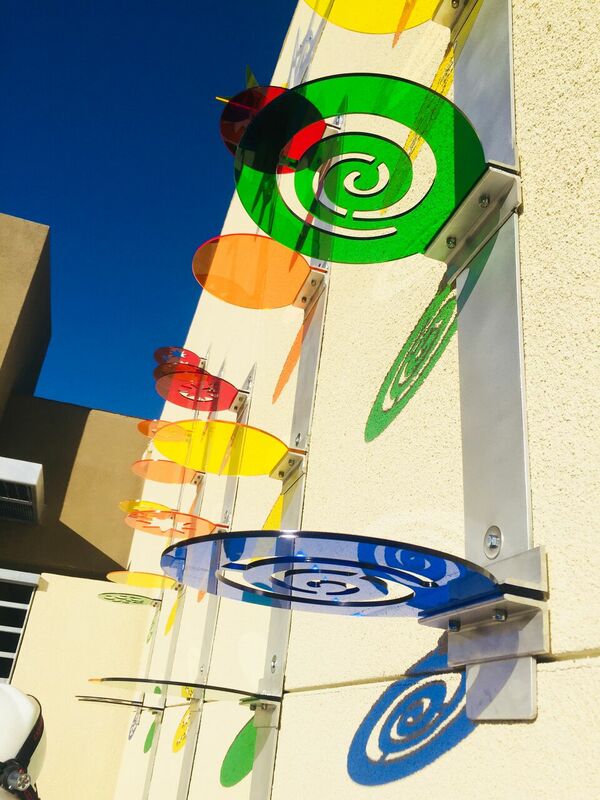 The artwork is a colorful and festive celebration of life and light, changing throughout the day and night with the natural cycles of sun and stars.